iPhone SE2 is iPhone XE? Release Date, Price, Specs And Features Revealed! Last Wednesday, we published a report talking about the supposed 2020 iPhones lineup which will sport three screen sizes: 5.42 inches, 6.06 inches, and 6.67-inches, all of which will sport OLED screens. Regarding the 5.42-inch variant, it could come with either Samsung Display’s Y-Octa or LG Display’s TOE touch technology which will in return trim down the display cost. Moreover, this variant is speculated as the iPhone SE 2 (aka iPhone SE2) or something close to it. This time around, reports are talking about 5.42-inch iPhone variant. 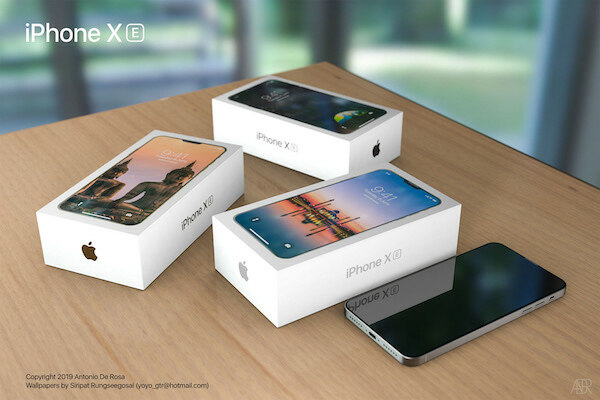 Apparently, its name is iPhone XE. Details of its possible price, specs, and features have been mentioned as well. 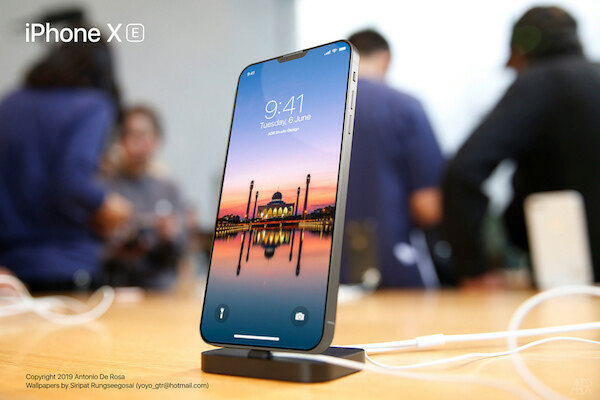 According to GizChina, the iPhone XE (in the place of iPhone SE 2) will launch in Q4 2019 which from October to December. As for its price tag, it’s expected to start about $600 which is quite expensive considering that the iPhone SE 2 was expected to cost below $500. Is a $600 reasonable? Well, that depends on the buyer and what specs and features it carries. And no, a trade-in doesn’t count. Take for example what Apple did with the iPhone XR where customers can buy it for £499/$499, but that is only as a trade-in if you have a reasonably new handset to swap. In terms of display, the iPhone XE will be bezel-less due to the lack of a physical Home Button which means it will feature Face ID. What about an in-display fingerprint scanner? Unfortunately, there was no mention of it. Moreover, in regards to its display, it will feature a 5.42-inch AMOLED display. As for its camera specs, it will sport an f/1.8 12MP camera which is similar to the iPhone XR’s rear camera. What about the front camera? Sadly, there was no mention of it. Processor-wise, the iPhone XE won’t feature a new processor. Instead, it will come with an A12 chip. What are your thoughts about this iPhone XE? Do you think it’s really the iPhone SE 2? Are you looking forward to it? Tell us in the comment section below.